At Kanye West's speech during Art Basel for his second Yeezus listening party last week, he said, "I just felt that I would never be one of the great visual artists of the world." However, as any fan of Kanye knows, that hasn't stopped him from being one of the most important artists of our time OR from working with top-notch visual artists for the delivery of his albums, videos, and tours. 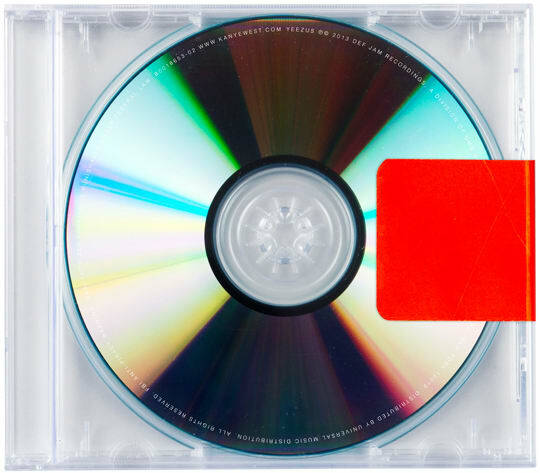 With the official release of Yeezus tomorrow, in all of its cover-less glory, we decided to take a look back at his album artwork throughout the years, even in the context of his single covers. Whether including the Dropout Bear mascot, commissioning artists like KAWS and Takashi Murakami, or creating a continuous style for a series of releases like GOOD Fridays, Kanye has shown that he keeps art and design paramount in his projects. For Yeezus, Kanye told fans at Governor's Ball on June 9 that he's keeping the focus on the music by creating a minimal, Dieter Rams-inspired cover. It took an artistic journey to reach this point, and we invite you to take it with us.